A once-in-a-lifetime opportunity to own ‘Paradise Point’ - the most spectacular views on Capri, along with the finest boating facilities. Only the second owners since 1962, they are now offering 160 Tahiti Street for purchase. 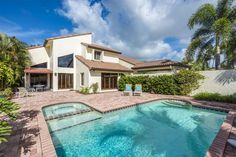 It is located on a south-facing tip lot with sweeping, expansive, panoramic views of mangroves, Snook Bay, the Marco Bridge, and the Marco River. With the additional east and west exposures of the tip lot, you can watch the magical sunrises and sunsets. The home boasts two boat slips with lifts, for 40’ and 35’ vessels, with a new canopy over the 35’ slip. The three bedroom, two bath, 1,486 sq. ft. home has been completely remodeled in 2018 in Coastal Modern style. The 135’ seawall has been reinforced with rip-rap rock placed against the panels’ base. Two boat slips with lifts. Outer slip is 40’ long by 16’ wide with a 16,000 lb. lift. Inside is an 11,000lb lift. Enjoy excellent fishing & Watch the dolphins & manatees play everyday in your own back yard. 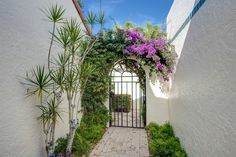 Isles of Capri is a boaters dream location, nestled between Marco Island & its famous white sand beaches & Naples with its world class shopping a & dining. Welcome to Paradise!